Productive collaboration among state wildlife representatives, scientists, conservation organizations and citizen constituents help mutual parties find common ground about wolf recovery in the Northeast U.S.A. In recognition of this development, the conservation community in the United States, especially those in the Northeast USA, has become increasingly aware of the potential for the recolonization of this species in the region. By mutually focusing on the species as well as ecosystems, there is potential to explore the natural recovery of this top predator and its benefits to the changing ecosystems that depend on top-down regulation. 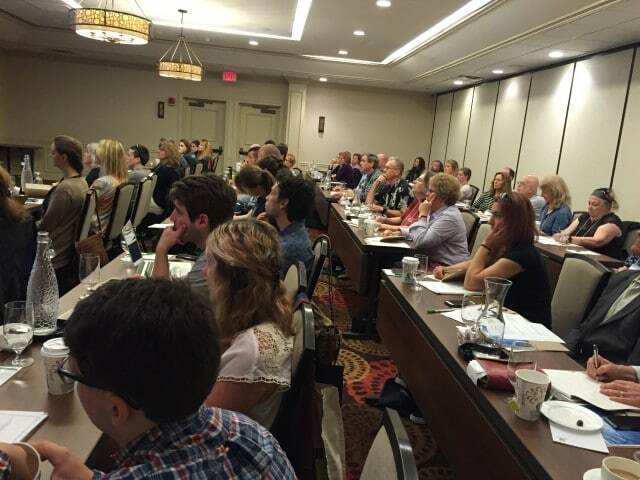 Recognizing the need for a collaborative effort that explores the vision of and potential for the return of the eastern wolf in North America as part of the public trust, the WCC held a two day Eastern Wolf Education Summit [June 13th – June 14th, 2016] so that all interested constituents had the opportunity to learn more about and explore three essential themes and how they may impact our region in Northeast USA. Speakers included Linda Rutledge (Princeton University, Ecology and Evolutionary Biology), Brent Patterson (Ontario Ministry of Natural Resources), John F. Benson (University of California, Los Angeles), and Adrian Treves, (University of Wisconsin-Madison, Carnivore Coexistence Lab). 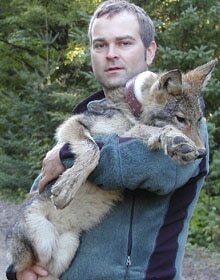 Arguments about wolf management and conservation can quickly descend into trying to reconstruct the past. What wolf really belongs in the East? Did gray wolves and eastern wolves live concurrently, feeding on different prey? Are Canadian gray wolves the same as Rocky Mountain wolves? Despite her focus on the evolution of wild canines in North America, Rutledge proposes another way for conservationists to approach this: focus on the ecosystem not the species. It is widely recognized that protected areas can strongly influence ecological systems and that hybridization is an important conservation issue. Before the research project initiated in Algonquin Park after 2004, studies had not explicitly considered the influence of protected areas on hybridization dynamics. 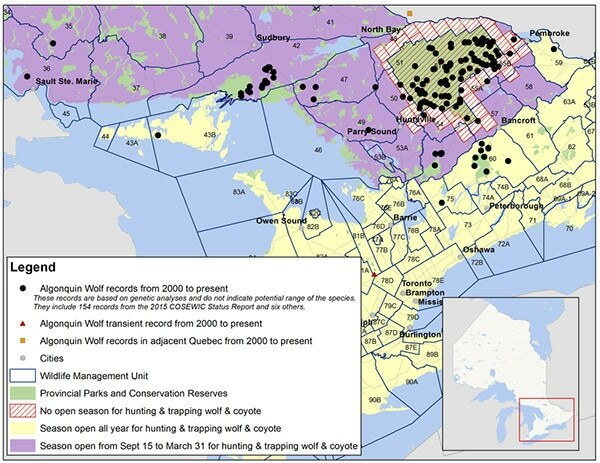 The distribution of Eastern wolves is largely restricted to a protected population in Algonquin Provincial Park (APP), Ontario, Canada, where they are the numerically dominant canid. Brent Patterson and then-PhD candidate John Benson studied intrinsic and extrinsic factors influencing survival and cause-specific mortality of hybrid and parental canids in the three-species hybrid zone between eastern wolves, eastern coyotes, and gray wolves in and adjacent to APP. Their results demonstrated that protected areas can exert a powerful inﬂuence on hybridization dynamics between species and suggest that rare hybridizing taxa are able to maintain genetic distinctiveness within protected areas, even when reproductive barriers are few, and hybrids and other parental types are more abundant, outside the reserve. Thus, efforts to maintain or restore naturally regulated systems by protecting rare, hybridizing species from exploitation can help to address the challenge of conserving hybridizing species. Although large protected areas similar to APP may be difﬁcult to establish in many human-altered landscapes, their results highlight the importance of existing parks and reserves with respect to their potential to inﬂuence the structure of hybrid zones involving rare species, such as eastern wolves. The eastern wolf’s evolutionary history inspires transboundary partnerships and collaborative strategies which will encourage the exploration of a recovery plan that protects and restores the critical role of the eastern wolf as a top predator. Eastern wolf conservation could provide a fundamental, cost-effective approach to reduce herbivory, conserve ecosystems and improve biodiversity in the troubled landscapes of eastern North America. During the Summit, common ground was explored to encourage the hard work of conserving the eastern wolf. Consensus was reached with the overall belief that policy makers, wildlife managers, scientists and conservationists must work together to encourage transboundary partnerships that mutually support communication and education initiatives as they relate to eastern wolf conservation. 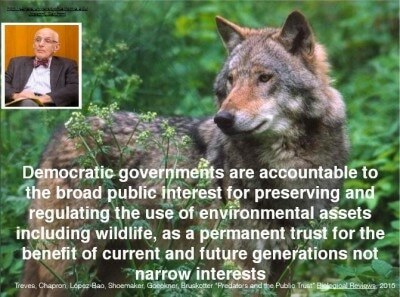 The concept of the public trust doctrine implies that we all share equal, undivided interests in our natural resources – which include wildlife. In fact, the government holds wildlife in trust for our benefit and is empowered to manage it for the public good. Public trust wildlife management should aim for state wildlife management reflective of democracy, broad public participation and science-based decision making. It also enacts research/investigations, public education and other initiatives to achieve its mission. The public trust doctrine obligates states to conserve a species for their citizens when federal statutory law does not protect it because certain natural resources, including wildlife, belong to all citizens, and therefore deserve such protection. Recognizing that the state has a common-law obligation to maintain wildlife populations in perpetuity, not just for current residents but for future residents, provides a degree of protection for species in the absence of statutory protection. As a result of collaboration and debate, more than 60 attendees strived to reach as much consensus as possible about the big ideas about eastern wolf recovery and identified a preliminary framework from which all constituents can begin to work together to transfer scientific data into informed practice. Furthermore, participants agreed that although eastern wolf conservation outside of APP is an important conservation goal, wolf recovery in the Northeast USA should not be limited to eastern wolves. A wolf conservation strategy should be broad enough to include all wolves, including gray wolves (Canis lupus) who currently call the western great lake states home. 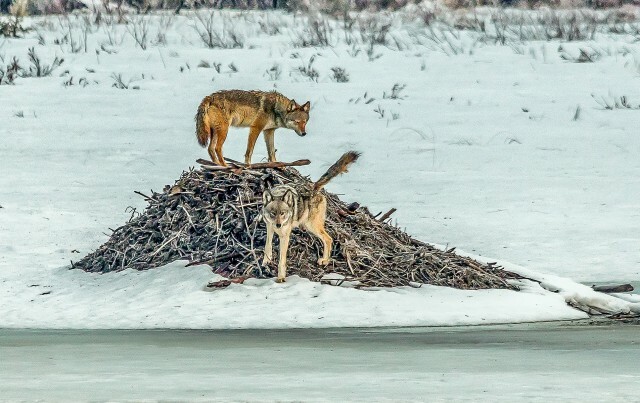 These wolves could potentially recolonize the Northeast from places like Quebec and may offer the advantages of being easier to distinguish from coyotes and less likely to hybridize with them as well. Productive collaboration among state wildlife representatives, scientists, conservation organizations and citizen constituents are rewarding when mutual parties strive for common ground and achieve that lofty goal. The WCC’s Eastern Wolf Summit was a huge success and, as a result, an exciting new chapter for wolves in the Northeast North America begins.